These courses are suitable for both beginners and advanced climbers, who are looking for a solid and well-structured education in this fascinating sports. You will learn the essential skills of rope work and belaying. Furthermore we focus on the basic climbing techniques which allow you to move more efficient. Get stronger! 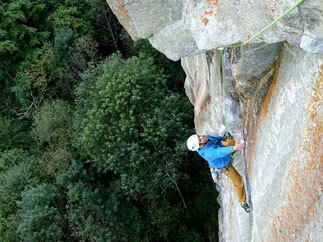 Based on a first climbing meeting , we analyse together your climbing skills. We also define your climbing targets as well as a training plan. In the following sessions, we are working towards these goals. These sessions are taking place in climbing spots near Lucerne. 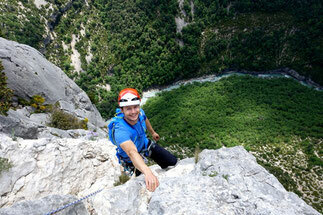 Are you travelling through Switzerland and look for 1 day rock climbing trip? Or do you visit the country as a business man and look for a real break at the weekend? 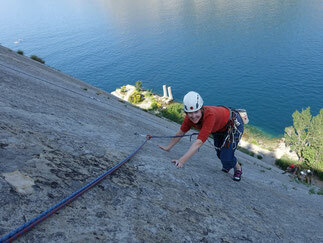 If so, join us on climbing trip starting at your hotel in Lucerne or at the train station. From here we can reach within 30 to 60 minutes all kind of sports climbing areas: from single to some of the best multi-pitch climbs of the Alps, from limestone to granite and from easy to hard. Gear can be rent. 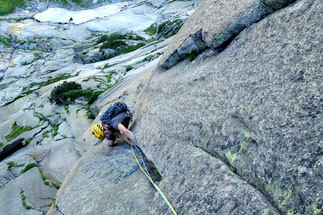 Climbing opportunities at Furka Pass are seemingly endless. There are excellent multi-pitch routes in steep rock: Hannibal Tower (e.g. Conquest of Paradise, 5c), Gross Bielenhorn west wall, Chli Bielenhorn south wall (e.g. 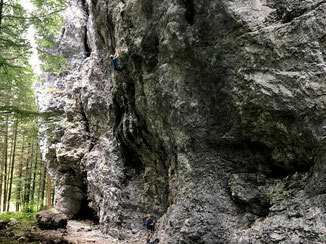 Perrenoud, 6a) or the mega classics at Graue Wand (e.g. Niedermann, 5c+, Conquest, 7a). All tours have in common the fantastic scenery in high alpine ambience. Recommended climbing level: 5c and higher. 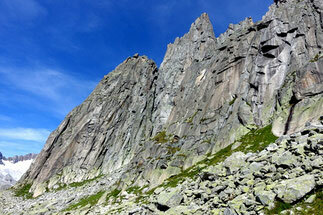 The wild and intact Valley of Göscheneralp is for me personally one of the best climbing areas in Switzerland. 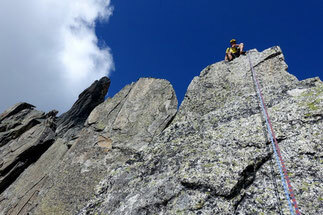 The absolute must-do's are of course the south ridge (grade 5b) and the west ridge (6b) on Salbit. But also tours as Incredibile (6a) on Gemschplanggen or a bit easier on Bergseeschijen or Gandschijen will not disappoint you. Recommended climbing level: 4c and higher. Also at Grimselpass you will get spoilt as a climber. Tours like Motörhead in Eldorado, Sagittarius or Fair Hands Line at Handegg are widely known and absolute must do's for anyone who can climb 6a top rope. Also worth to mentioned are the slabs at Räterichsbodensee or the slightly steeper routes on Mittagsfluh, where routes in climbing grade 4 and higher can be found. Of course I also like to accompany you on your desired tour, for example Südpfeiler on Chli Glatten, Blauer Käfer on Cheselenfluh or Excalibur on Wendenstöcken, etc.? Don't hesitate to contact me.